Marco de Vincenzo, creative director at his namesake label and leather goods head designer at Fendi, is set to debut his menswear line at Pitti in June. The designer, known for his unusual approach to fabrics, plans to continue his use of geometric shapes, innovative textures and signature motif of a thick braid, but emphasises the importance of newness. I’m ready to go out of my comfort zone. With the growth of menswear set to outperform womenswear by 2020, contributing $460 billion to the global clothing and footwear market, De Vincenzo’s move into the market comes at the right time. “Marco‘s crafty sense of psychedelia could make a nice addition to the ever-expanding menswear conversation,” says a fashion critic. 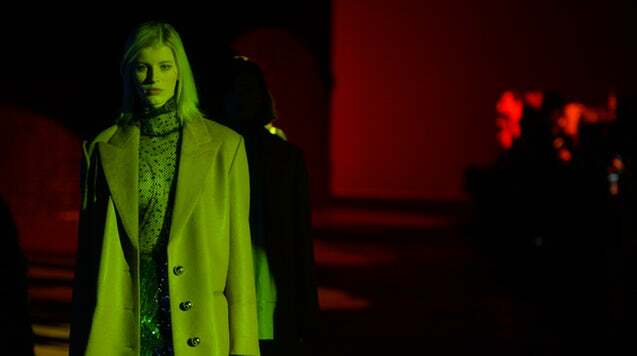 The debut marks De Vincenzo’s return to Pitti, having previously been invited as a guest designer for women’s ready-to-wear, staging an installation inside the Niccolini Theatre. For the Spring/Summer 2020 collection on June 12, however, the designer is planning a return to the traditional fashion show format. The category expansion comes after a restructuring, where LVMH retained its 45 percent share and MMGP entered with a 35 percent share, leaving 20 percent control to the designer. Under the joint venture, Marco Panzeri was named chief executive and the brand began taking steps to become a direct sales organisation, restructuring footwear and ready-to-wear sales.